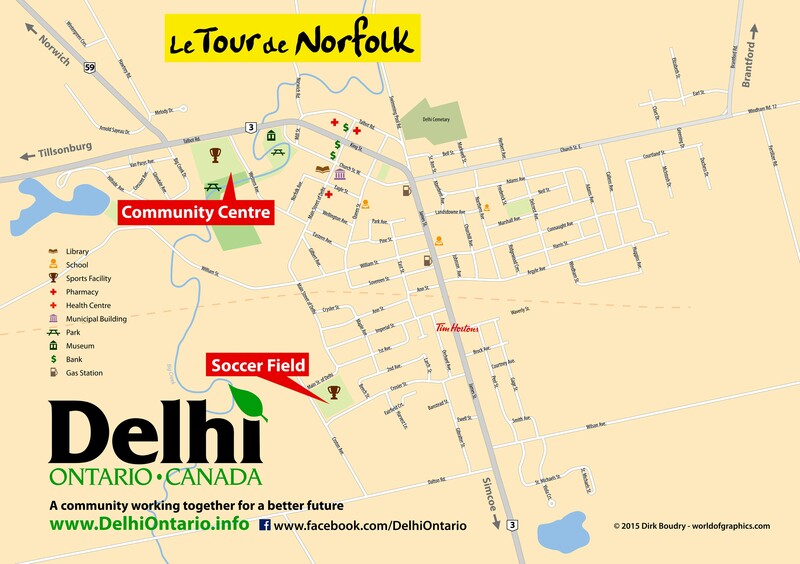 All routes start and end at the Delhi Community Centre, 144 Western Ave, Delhi, Ontario. Camping is avaiable at the Delhi Soccer Field. Check the Legend on the map for other facilities available in town.